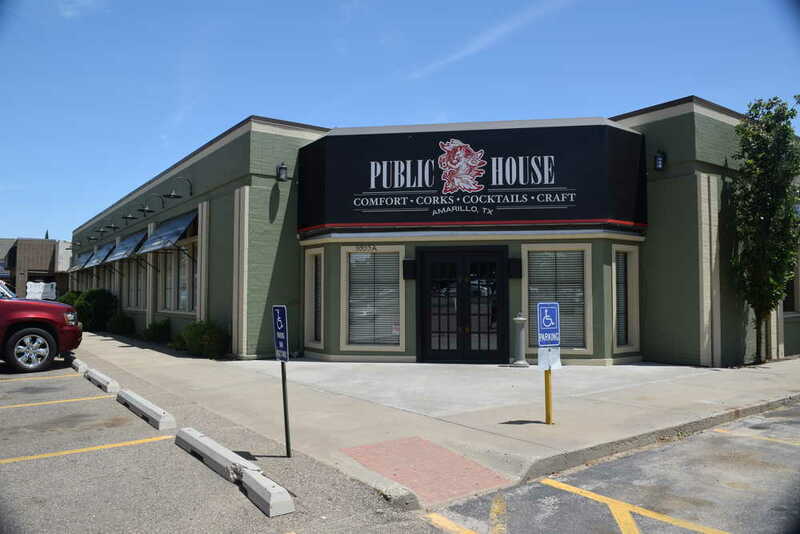 Located in Amarillo, The Public House is a gathering place for anyone seeking good food and drink. We feature upscale American comfort food, craft beer, classic cocktails, and boutique wines. Prepared using fresh, quality ingredients, our elevated comfort food menu will make you feel right at home. Dig into delicious favorites like baked potato soup, smoked buffalo bratwurst, and seared elk tenderloin, our specialty. Enjoy the warm company of family and friends as you indulge in a cold, refreshing brew from our extensive drink menu. You’ll find an unparalleled selection, featuring 150 boutique wines, 80 bottled beers, 8 craft beers on tap, and Amarillo’s largest selection of whiskey. Whether you’re looking a romantic evening or a casual place to share a meal with friends, the Public House is the place to be. Join us today for a delicious meal! © Copyright 2019 Public House. All rights reserved.